Brisk mornings and sunny afternoons lend themselves to wonderful walks. Pick parts of your city that have the most colorful landscapes and plan afternoon or evening destination walks. Do a search to find the prettiest areas to take a Sunday afternoon drive. Relaxing drives can help you de-stress and get ready for your next work week. Nurseries are also full of fall plants that can transform your yard into an autumn wonderland. Plan a Saturday morning outing to pick your plants or just enjoy strolling through the aisles and take in the rich colors. You can’t go to the store without seeing something pumpkin. Pick out a few new recipes and try them. We are finding that pumpkin and Aronia berries are a match made in recipe heaven. Try our Pumpkin Aroniaberry Bread recipe. Get Pumpkin Patch Fever. Most major cities have a pumpkin patch. Plan a day at the pumpkin patch to revel in the spirit of fall and buy your pumpkins to carve or decorate. Here's a list of 25 of the Best Pumpkin Farms Across America. Pick out a few age-appropriate scary or classic Halloween movies. Have kids wear a simple costume, maybe a hat or fun headband. Plan a fun snack menu that includes spooky treats. Here are a few scary recipes from Delish. Remember our Superberries Aroniaberry Concentrate can add a fun purple color to any treats you are making. And don't forget to try our Aroniaberry Gummy Chews in popcorn, trail mix, or other treats. Don’t get caught up in the last minute scramble to find that popular Halloween costume. Shop early and have fun buying the accessories that make the costume. Make sure the masks you purchase have adequate ventilation and allow for good visibility Check the label and to be certain the costume is flame resistant. Halloween has become the second most decorated holiday A carved pumpkin use to be all you needed. Now people are creating elaborate scenes in their yard for the holiday. If you are using lights, make sure they are in great working order. Also, consider using battery operated candles, glow sticks or flashlights in jack-o-lanterns to eliminate fire risk. Busy schedules can be a drain on you and your children’s health. Buy our Berry Deluxe Combo which includes Aroniaberry Concentrate, Gummy Chews and a 12 pack of Aroniaberry+ Daily Wellness Shots which gives you some super antioxidant power. 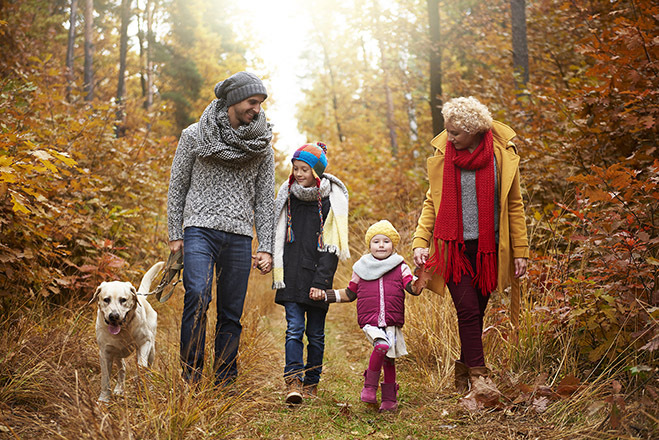 Here's some great advice from Reader's Digest too, 50 Ways to Have a Healthier Fall. Here are some other great links to fun fall activities, food and places to visit.